The CEOs of both LDC and Glencore Agriculture come from the sugar market, as did the previous Vice-Chairman of Cargill. Why do you think that ex-sugar traders reach such prominent positions in the business? That’s a question I didn’t expect! Sugar has always been a truly global commodity with a global futures market, a global geographic producer base – and a wide consumer base. It has a direct link to the end user through white sugar, as well as an intermediate refining stage. As such, it has the ability to teach you a lot about the different elements that you need to understand the business. People that come up through the grains or oilseeds tend to be from a smaller part of much bigger markets. Sugar propels you very rapidly into a global focus. Sugar has always been an excellent training ground for commodity traders. Which leads me on to a difficult topic. The Brazilian sugarcane industry has been exceedingly challenging for companies such as yourselves and also Bunge. Can you see any end to the tunnel? As you say that is a difficult question; it requires a lengthy answer, possibly too lengthy for this conversation. However, I will do my best to walk you through my thoughts. First, you have to realise that sugar is a multi-faceted commodity. It is a food and energy commodity with a long cycle compared to grains and oil seeds. Sugar production responds relatively slowly to price. Sugarcane is a grass; once it is planted it stays in the ground and can be cut for up to six or seven years. As such the cycles are longer and more complicated. Regarding the Brazilian sector, I read recently that Brazilian cane production had increased tenfold in the past ten years. That is complete nonsense. Cane production is up only a couple of percent on ten years ago, and there has been no expansion in area in the past five years. In addition, contrary to popular belief—and with one small exception—cane is not grown anywhere near the Amazon jungle. Once the juice is squeezed out of the cane the dry matter, called bagasse, is burnt to provide electricity both for the mill and for the surrounding areas. The sludge, the vinasse, from the production process is reapplied to the land as fertilizer. The cane fields in Brazil are rain fed so there is no need for ground water irrigation, and wastewater from the mills is recycled and reused. All this means that sugarcane is a relatively environmentally-friendly crop. Meanwhile, the majority of cars in Brazil are now what is called “flexfuel”: they can burn either gasoline or ethanol. In addition, the sugarcane mills have significant flexibility as to how much sugar they produce and how much ethanol. This provides tremendous flexibility to the mills and “optionality” to the trading companies that own them. Cane is therefore an attractive crop for companies such as ourselves who thrive on flexibility and optionality. So the Brazilian sugarcane industry has all the ingredients for both economic and environmental success. However, the sector has suffered from government intervention. Successive governments have kept gasoline prices below their economic and environmental cost; this has made it difficult for ethanol to compete and resulted in losses for the sector. The president-elect seems supportive of the country’s domestic ethanol industry and we are optimistic that this situation will be changed going forward. On the sugar side, world prices have been negatively affected over recent years by significant production increases in Thailand, India and Europe. It looks as if this is slowly changing: the current forecast is for a global sugar deficit for next year and the following year. So I think we will slowly be pulling out of this down cycle in sugar prices. Having said that, there are still a lot of questions over long-term sugar consumption trends as well as over ethanol policy globally. Continental Grain sold their agricultural merchandising business many years ago to Cargill. They apparently felt at the time that the risks weren’t worth the rewards. How difficult is it for a company like LDC to shift these massive quantities of foodstuffs around the world while at the same time manage the associated risks? That comes back to an earlier point. 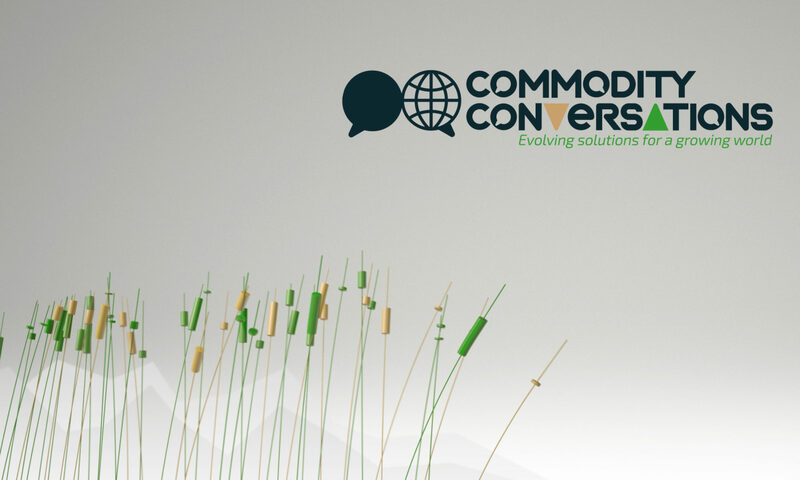 When Continental Grain sold their trading business most trading companies were trading in a traditional way. The current trend towards disintermediation makes it easier for us to manage our risk. It mitigates risk rather than increases it. If you are your own consumer you are taking your own credit risk. It is also clear that diversification does have a clear benefit. A number of the companies that have either left the business or been consolidated were relatively narrow sector. The correlation across commodities varies: some are highly correlated but others aren’t. For example, the correlation between coffee and corn is low. The risk management benefits of a portfolio approach are significant, as too are the benefits of a diversified global footprint. It is true that you have a different type of risk the further downstream you go, and the more you immerse yourself in developing economies. Back in the 1990s you were mainly concerned with market risk. Now you are concerned with market, geopolitical, country risk and company risk. Having an integrated approach mitigates that. When I joined Cargill they always said that if you traded twenty commodities, five would have a lousy year, ten would have an OK year and five would have a stellar year. The last 20 years have proven that. You always have some sectors of the portfolio that are having a tough time while others are performing extremely well. Trading conditions have been tough recently for the grain trading companies. To what extent do you think this is structural and to what extent cyclical? Grain is a simple commodity with relatively low barriers to entry. It has an animal nutrition component and a human nutrition component. It also has a biofuel component through corn. Companies that are successful today in grains participate in all three sectors. The value proposition today is integrated logistics across geographies, and with links to oilseeds. Having said that, a combination of over-supply and competition means that the grain market is currently difficult, but that is part of the cycle. All commodities are the same in that sense. How do you see technological change affecting the business into the future, particularly Blockchain? Blockchain is part of a broader move towards digital documentation. New technologies, like blockchain, can mitigate a number of risks and work well with traceability and the integrated value chain approach that we are pursuing. They represent a significant move in the right direction in making the agricultural supply chain appropriate to the requirements of consumers. LDC did the first Blockchain transaction in agricultural commodities—a cargo of soybeans to China—and we intend to remain at the leading edge of technology. Having said that, I don’t see Blockchain as revenue transformative. I see it as a mandatory evolution of the value chain. Overcoming the challenges of integration, interoperability and industry standards will create a more robust, efficient and transparent way to manage our flows and reduce operational risk. It will also improve the credibility of the supply chain. In addition, it will lower barriers to entry and potentially bring more liquidity to our market. About 30-40% of food is wasted between farm and fork. How can LDC help to reduce that wastage? Most food waste occurs outside of the supply chain in which we operate. In most cases LDC is not a food producer, so our ability to reduce waste at the farmer level is limited. At the other end of the chain the fact that supermarkets sell goods with defined sell-by dates—that may or may not be appropriate—is not something that we can control. That is not to say that we have no desire to control it, but we have no interface with that. It is therefore wrong to say that the solution to food waste sits within the commodity-merchandising sector. There is virtually no waste in what we do, and quite often what we do regard as waste is a by-product, which is further used. Would you recommend a young person to enter the business today? Yes very strongly. We operate in a unique sector—and it is more unique now than ever—where you can combine an interest in geopolitics, with economics, with logistics, financial elements and at the same with industrial activities, and with agriculture. It is the most multi-faceted business that I can think of. That’s what attracted me to commodities in the first place. One of the areas where a young trainee can come in and really make a difference is in how the world is nourished, and how farmers can not only survive, but thrive. In addition there is the whole area of traceability, sustainability, human rights…it is a hugely multi-faceted sector. For any young individual with an ambition to be part of a global business it is a great career. LDC is an exception in that your chairperson is a woman, but the commodity merchandising business is generally male-dominated. Why do you think that is, and what should the industry be doing to encourage more women to join the sector? That is an important question. It is important that we convey the message that this is an interesting career where people can make a real difference—where people can succeed. I strongly believe that there is no reason why that should be male or female—or anything—centric. Our business requires a broad set of skills that can be found in everyone, irrespective of their gender, nationality, etc. As to why the percentage of females in senior management positions is low, it may be due to a combination of historical factors. Nothing would give me greater pleasure than to see a more balanced situation and I am committed to make that happen. When I started in the business that was probably true, even to the noise level on the trading floor. We didn’t have instant messaging and electronic communications. You shouted down the telephone and if you weren’t getting your message across you shouted a bit louder. That did tend to come across as quite an aggressive environment, but that’s not to say that there weren’t some extremely successful female participants even then. My head of grains when I worked in Paris was female. Commodity trading today is a much more diversified and complicated business We need the best talent that we can find, whatever the gender. What advice would you give anyone joining the business today? First, maintain a high level of ambition. Ours is an industry where people can progress very rapidly when they have the right skill sets. So don’t be afraid to push. People’s careers develop by filling vacuums. Vacuums occur all the time. You must never be afraid to put your hand up to fill the vacuum. People succeed in this business on their ability, not because of some hierarchy. Second, remain humble. There is a graveyard of egos in this business. Recognize what you don’t know. Recognize that there are people that do know and learn from them. You can’t learn if you can’t listen. Listen to people. What I really want to stress is that preconceived notions of what a trade house is and does no longer apply. Those notions are outdated. I would also like to emphasise the importance of adaptability. The companies that succeed are the ones that rapidly recognize change, and then adapt their structures and staff accordingly. I started life as a “commodity trader” and I have never lost that trader’s DNA; it runs through everything I do. However, I and we as a company are much less traders than we were thirty years ago. And that trend will continue. People still use the term “trade houses” to describe us, and I think it will be hard to change that. However, I don’t think there is such a thing as a trade house any more. We are all supply chain operators within the agricultural sector, but we are also nutrition companies. And we are all moving in our different directions. But it will take a while for old mnemonics to change. Ian, thank you very much for your time and for what has been an interesting conversation.